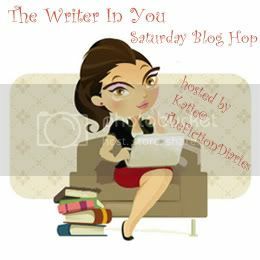 The Writer in You Blog Hop is hosted by The Fiction Diaries. There'll be a question relating to "writing" each Saturday. Q: What is your favorite thing about your current WIP? This is the first WIP I did an outline for. I did spend quite some time on it so it's my favorite thing right now. I used to be a panster while writing fan fictions, thinking chapter by chapter and never plan ahead. So, this is something different for me. I'm looking forward to completing my MS after my exams this coming Monday. The outline definitely helps. Maybe I should try an outline.. I always just jump right in with a jumbled mess of thoughts that I've scribbled down in my journal.. I'm somewhere in the middle of you two, haha. I plan out the plot and the twists and stuff but I don't plan it all out chapter by chapter. I tried once but then I got a different idea when I was writing and I never went back haha. I'm a book lover, book blogger, book reviewer, fan fic writer, aspiring author and a daydreamer! I love historical romance and everything YA! I'm currently working on my first YA book. Leave them a word of encouragement!